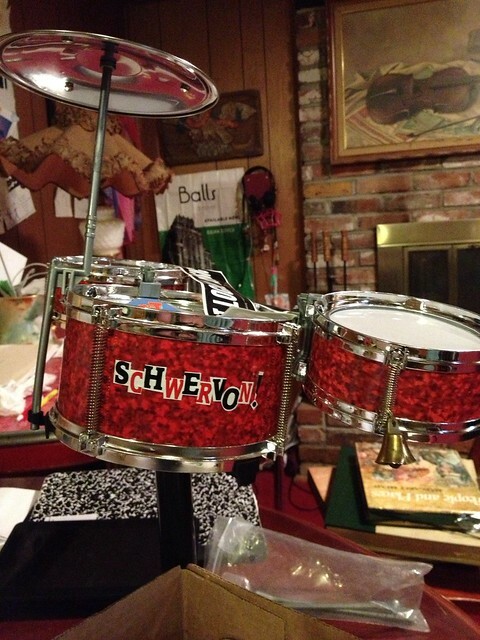 Our pal Rachel gave Nan these customized mini drums for her birthday. Rachel is an incredible spirit who we were lucky enough to meet soon after moving to Kansas City. She is one of our favorite kinds of artists because life is her canvas. The next Schwervon! performance will be part of a benefit for the MOSH PIT, pit bull rescue service on Saturday, September 28th @ Recordbar in KC, MO. Also on the bill: Be/Non and Standby Anchors. The next Schwervon! 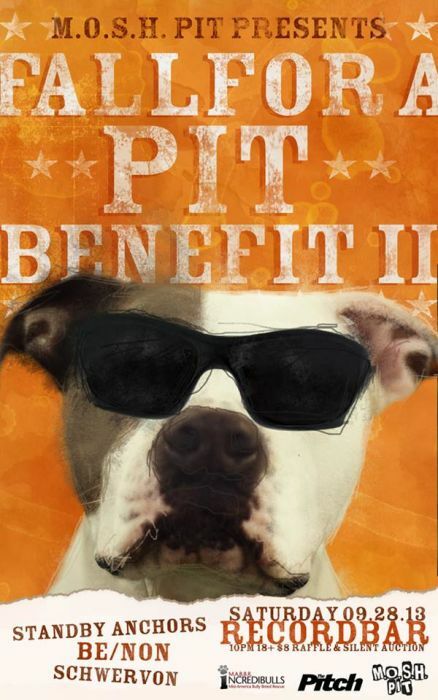 performance will be part of a benefit for the MOSH PIT, pit bull rescue service. MOSH PIT is a new assistance group that will help raise funds for rescue groups who have pit bulls and pit bull mixes in their care. MOSH stands for Money for Organizations Saving Helpless PITS!